Take M621 - Leave at junction 2, signposted Emerald Headingley Stadium. Follow the A643 (A58) Wetherby road - at the next roundabout take the City Centre/Wetherby A58 exit. Almost immediately, bear left to Ilkley (A65) and the airport. At the lights (TGI Friday is on the left), turn left into Kirkstall Road A65. Go straight on for about .75 mile (Yorkshire Television is on the right). For details of all bus routes to and from Emerald Headingley Stadium and to view a map of the ground and the surrounding area please click here. 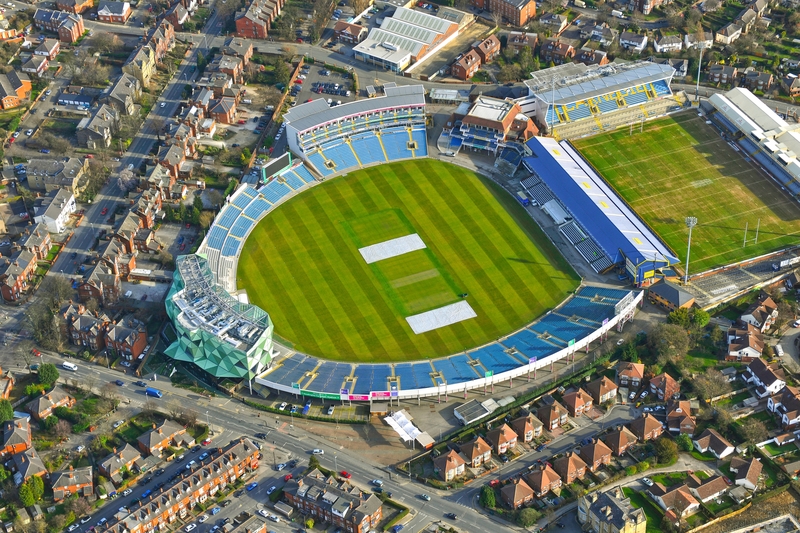 Emerald Headingley Stadium is around a 10-15 minute drive from Leeds City Station. A taxi should cost around £8-£10. Leave Airport and at roundabout turn right signposted A658 Harrogate. In 1.5 miles at traffic junction turn right onto A660 Leeds. In 3 miles cross the A6120 - Leeds Outer Ring Road. Advance forward on the A660 Leeds for 2 miles until traffic junction. At traffic lights turn right into B6157 North Lane. Follow road until next major traffic junction. Turn left into Cardigan Road. Take first turning on the right for St Michael's Lane. Emerald Headingley Stadium is on the right.